At 44 years old, Jeri Millard received a cancer diagnosis for the second time — this time in her breast. Millard began treatment the same way many of the estimated 266,000 breast cancer patients who will be diagnosed this year will begin — with a long list of to-dos and to-gets. The list seemed endless: post-surgery garments, compression wear, wigs, mastectomy bras, scarves, hats, skin care products. Millard had few resources to explain her needs, let alone help her navigate through them. As Millard completed her treatment, she kept a notebook to document how those needs could come together to help other cancer patients in the future. She felt compelled to use her experience as a behavioral diagnostic specialist — meaning she tests adults and children for learning disabilities, such as autism or dyslexia — to ensure no other cancer patients had to deal with the headache of not having the necessary resources to get through a cancer diagnosis with dignity. She didn’t know where to begin, so Millard did what any of us would do when we have a question — she turned to Google. She began learning about how to obtain 501(c)(3), or nonprofit, status. Millard had a simple goal: help others by putting non-medical cancer needs under one roof. But she didn’t want to empty out her bank account to do it. Obtaining the nonprofit status took nine months of back-and-forth questions between the IRS approval committee and Millard’s assigned caseworker. Using the model of the Girl Scouts — a nonprofit that also generates its revenue through sales — Millard received approval from the committee and began outlining her plan of building her nonprofit. In 2009, shortly after her 501(c)(3) status was approved, Millard maxed out her credit cards to put together the place that she had envisioned the entire time. Millard will be the first to tell you that it’s not something she’d recommend. But the small shop she found in Jacksonville, Florida, was quaint, cozy and personal. She pulled her inventory together and launched In the Pink. In the Pink’s revenue is generated from insurance claims and sales of items like scarves, hats and radiation cream. The revenue, as well as donated funds, stay at In the Pink to assist people without insurance. Millard has to raise about $100,000 per year to keep the doors open. 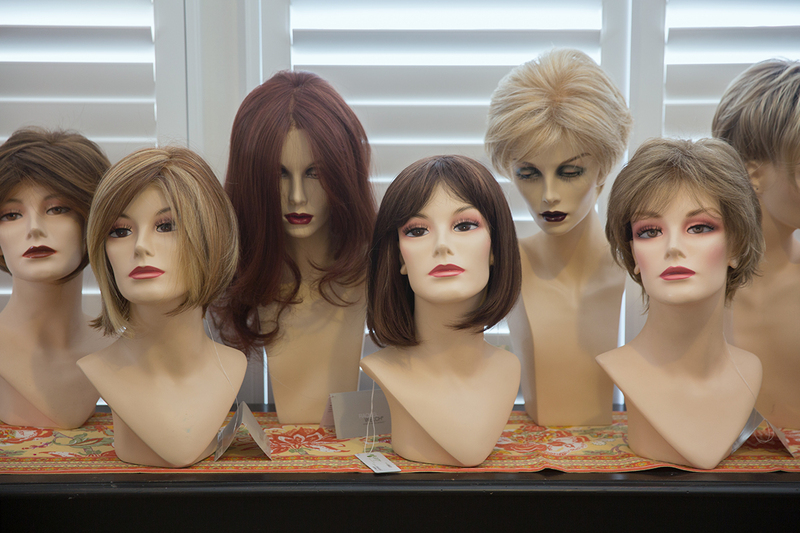 “We need to make that money so that if an uninsured person comes in and wants a wants a $350 wig, we will make it happen,” she said. Rather than taking a paycheck in the beginning, Millard used funds to pay back the credit cards she used to open shop. With the help of her husband, who also helped pay some of it back, Millard was able to get out from under the debt. In the Pink now serves nearly 5,000 clients between two Jacksonville locations and one location in Sarasota, Florida. The nonprofit has six employees, and Millard hopes to serve more communities in the future. Millard recalls one story that reminded her that the store’s purpose goes beyond retail. An elderly client came in one July for mastectomy products. Her insurance required a copay for the items she received. Millard told her she could make payments on the copay. Every month, she paid In the Pink $10 toward her balance. That November, the woman called. She and her husband had both had surgeries, and they weren’t able to pay the $10. Millard insisted that In the Pink would write off her balance. The woman mentioned they needed to replace their water heater; it had not been working for months. Every day, the couple boiled water in a large pot and used it to hand-bathe themselves. Millard reached out to a friend, who offered to donate and install it the heater for free. 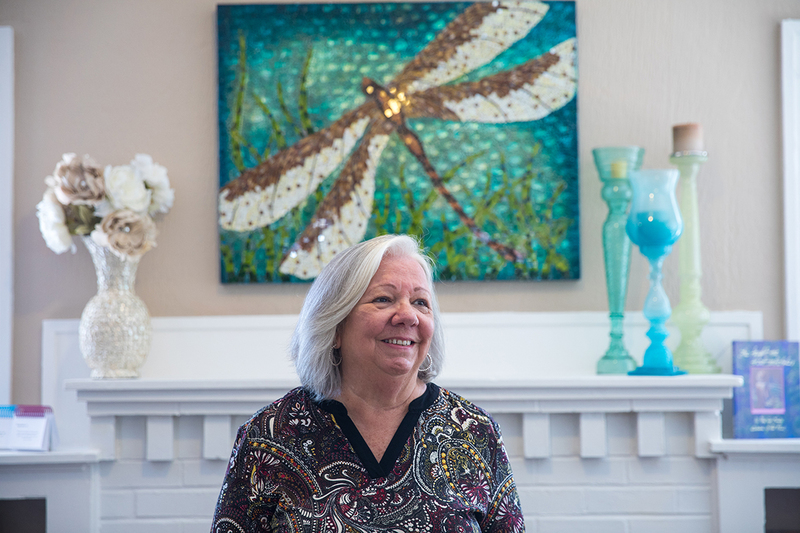 After the water heater was installed, the client called Millard to tell her that she had just had her first hot shower in months and thank her. Kelsey Sunderland is a digital producer for the Tampa Bay Business Journal. She writes about about tech and entrepreneurship.